"Being an OverShadower is never easy...And quiet Pearl is just the OverShadower to tell you about it. When a run away fails, Pearl knows for sure she's going to get punished for it. But her Leader, Adskahn surprises her by letting her have a little freedom. He lets her go to public school. There, Pearl meets a boy named Max. He's nice enough, annoying as heck. But nice. But Pearl can't seem to figure him out completely though. And...she might have feelings for him. But as her Fastening day draws nearer, and her powers start to do things they shouldn't. Pearl knows that she can never be with anyone else, but who the Elders choose for her. But when a dream turns into something bigger, and the Elders decide to give her some more freedom before getting Fastened. Pearl decides to take a stand for herself. She's done being told what to do all the time, she wants to have a brighter future. One that's hers. Not one someone chooses for her. But the question is...can she do it? 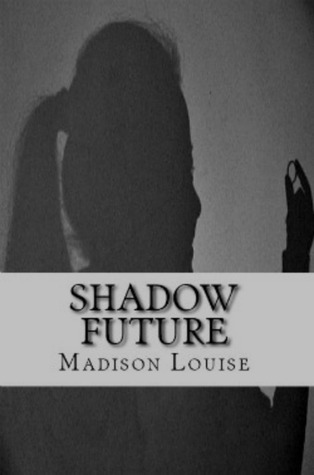 Or is she meant to go into that shadow future?" Pearl is an Overshadower. After a runaway attempt fails, she lands herself in public school. Freedom is so not what she expected she'd get. Especially as her Fastening day is creeping up on her. But Pearl has had enough of being told what to do, and now she is finally going to stand up for herself and her future. This book was fantastic! Pearl, despite her strict upbringing, is not afraid to be herself. She is smart, courageous and witty at times. Adskahn is the drop dead gorgeous boy in the boy and he melted my heart. Max is the boy trying to steal Pearl's heart away. Along with the other 3 boys, it makes for a stella character cast. This was a fast read for me! I enjoyed it thoroughly, all expectations thrown out the window. The twists that I encountered left me on the edge of the seat. I can not wait for the next book to be released! Now for the fun part! Arnold is here to tell us his favourite things! I love talking to Pearl, it’s one of my favorite past times. When you get her talking, she doesn’t stop. But it’s good to hear her talk. I love hearing Josh and Zeke argue, when they don’t, I know something is wrong. So it always feels good to hear them arguing over something idiotic. Since I’m actually older than Adskhan, we tend to get in arguments, but I enjoy those too, it means we’re actually talking. And we don’t get to do that very often. My favorite season is winter, I love all the white snow, and I like watching Zeke and Josh play in it. You would say I was the ‘father’ of our little group. I like seeing Pearl walk around outside, she likes being outside, but Adskhan doesn’t let her outside very much, so when she’s out there, she really gets into it. That’s something she never really tells people. If I had to pick a favorite food, it would be pizza. We don’t have it often, so when we do, we all eat it like we haven’t eaten in our lives. Except Pearl, she’s not allowed. But I don’t think she minds, she always rolls her eyes at the while we eat it. And something no one knows about me is…I’m really looking forward to getting Fastened and settling down. Not to Pearl of course, she’s like a sister to me. Thank you for having me, Claire. I must apologize for not being very good at this sort of thing. OverShadowers don’t tend to write blog—is that what this is?—posts. My secret word is : Everyone!